Our theme this week is Easter Eggs. You could use these as a fun hands on way to get ready for Easter this week. 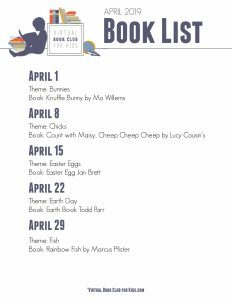 The featured book that we have selected is The Easter Egg by Jan Brett, one of our favorite authors here on The Virtual Book Club for Kids. Explore these egg activities, if you are looking for more books to add to your easter basket this week we have some featured further down. 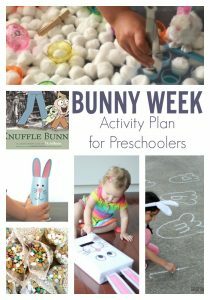 Plus a Pinterest board with ever more egg activities for Easter for your preschooler and toddlers. 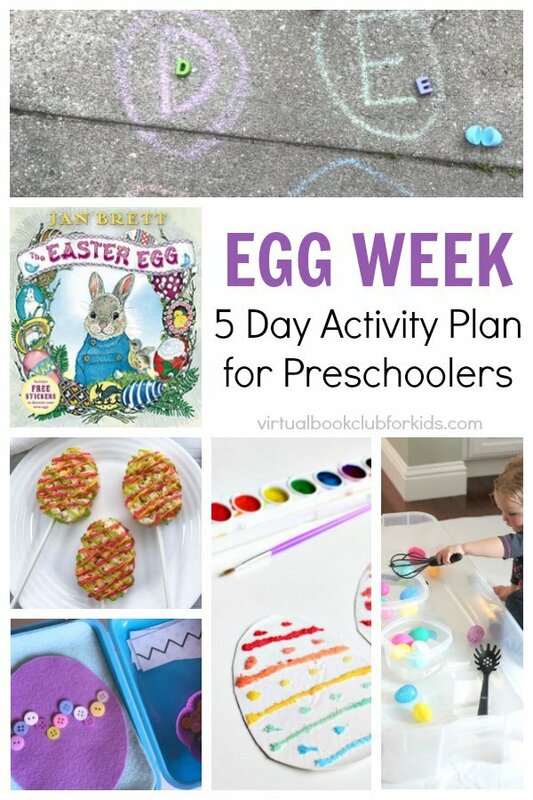 So here we go our Easter Egg Week Plan for Preschoolers featuring The Easter Egg by Jan Brett. We have provided links to the books we recommend in this week’s theme. If you purchase via the links we may earn a small commission. This week’s featured book is The Easter Egg by Jan Brett. Jan Brett’s lovable bunny hero, Hoppi, and her remarkable Easter Rabbit will enchant readers as they pore over illustrations filled with dazzling eggs made by Flora Bunny, Aunt Sassyfrass and others. If you are looking for other Easter Egg themed books for this week check out our selection below. 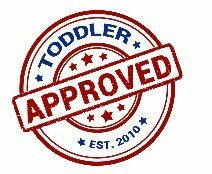 In our weekly plans, we provide 5 simple, hands-on activities to play, create and learn with your preschooler whilst having fun and encouraging a love of reading. It is up to you whether you choose 1 activity from the week, or do all 5 and how you set up the activities. 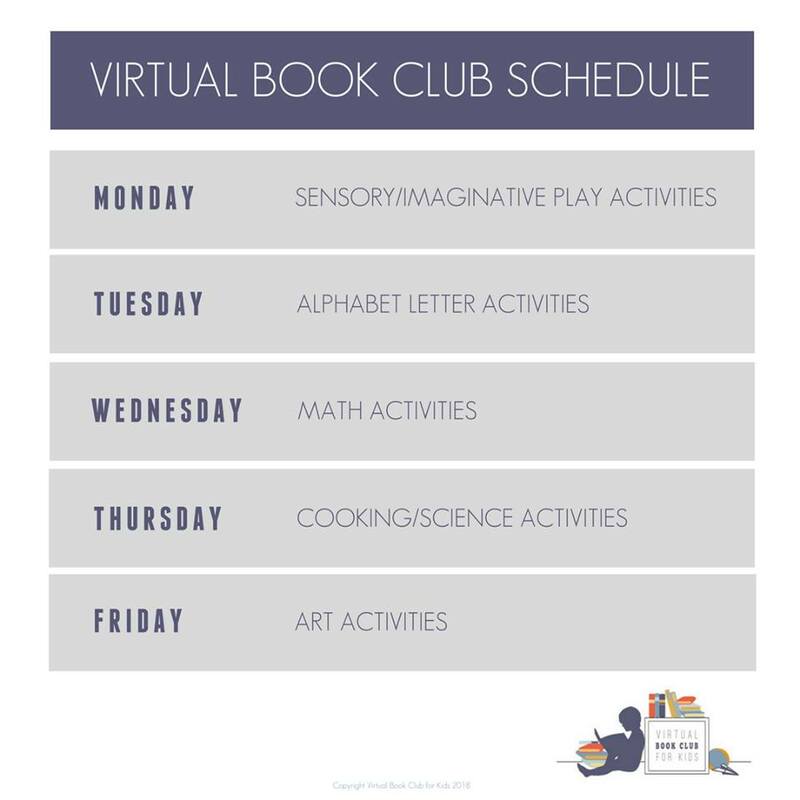 One of the team members here at the Virtual Book Club for Kids has put together a suggested outline of how you could organize your week carrying out an activity a day. You can see how this would work in the image below but it is up to you this is just an idea. We have a simple Easter egg themed sensory bin for this week’s sensory play activity for your preschoolers. The activity uses eggs, water and a very large plastic bin. Grab your eggs, chalk and alphabet puzzle pieces for this Alphabet Easter Egg Hunt and Match for your preschoolers is fun to head outside to enjoy the spring weather. You can easily adapt it to an indoor game too with large alphabet eggs using paper. Our math activity this week is focusing on making patterns. Make this Easter egg pattern busy box before Easter and have fun “decorating” the egg and work on patterns too! Find full instructions on this Easter Egg Patterns Busy Box here! This egg theme snack is a fun twist on a classic treat to make with your preschooler. This is a VERY quick and easy Easter Treat “recipe” to cook with and for kids with Rice Krispie Snacks. Here’s the ingredients you’ll need for this adorable Easy Easter Egg Rice Krispy Treat. Our craft this week is adds a little science fun with salt and watercolors. Check out the full instructions and Salt Painting Patterned Eggs with your preschoolers here. Each week we feature 1 book for the theme as our recommended read along with your preschoolers. 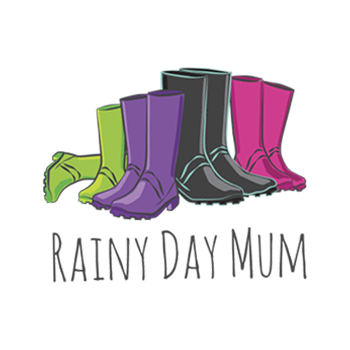 However, we know that sometimes these books can be difficult to find or as parents and carers of preschoolers you want to add a few more themed books to the book basket this week. So, in addition, we also recommend 3 other books that are great to read together this Easter that are all about eggs. 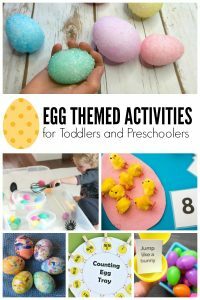 We know that some of our members love to add in more activities so to help you find the best we have handpicked them as find them and added them to our Easter Egg Themed Pinterest Board which is ideal for finding ideas for Spring and Easter fun with your preschoolers. Our theme for next week is Earth Day and we are featuring The EARTH Book by Todd Parr. 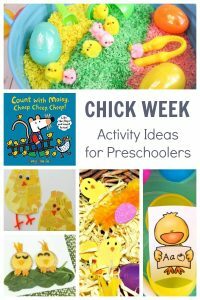 If you would like to use some of these ideas with other spring-themed activities then check out our spring themed plans for preschoolers below.